Photo credit Liz Meagher Cooper via Twitter. Boston area mom Liz Meagher Cooper was traveling through Dulles Airport (listed in our airport nursing rooms locator) and was searching for a place to pump breastmilk for her four-month-old baby (who was not traveling with Cooper). She was told by someone at the United Airlines counter that she could use the women’s restroom, but this is not an acceptable location for nursing or pumping. 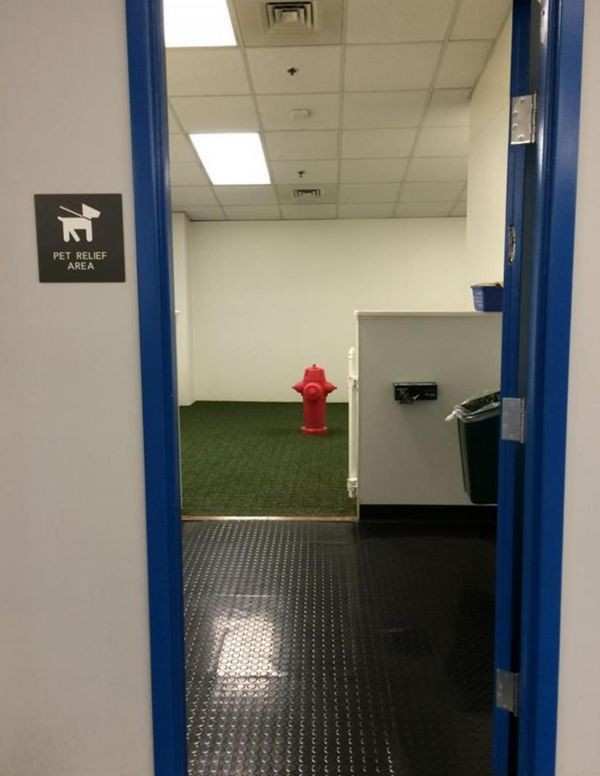 When she replied that the bathroom was not an option, United’s representative suggested a pet relief center (pictured). We at Moms Pump Here welcome the new accommodations and we are hopeful nursing moms will no longer be shown to restrooms (human or pet in this instance) as suggested locations for expressing milk for their babies. When the new accommodations are made available at Dulles, we will be sure to include the updated facility in our database on the MomsPumpHere app and its platforms.